Several people from Bagni di Lucca are surprised to know that we like to stay in Longoio during the winter rather than going to live in a town or city. Actually, the cold season is here much more acceptable than in Bagni di Lucca. At a height of almost two thousand feet we are located well up the valle di Lima and, therefore, get more sunshine. Also, damp is not so much a problem here as it certainly is in Bagni. We, on the other hand, wonder how people can survive by a river in the bottom of a valley at Bagni di Lucca. It’s quite often that the clouds are below us and we have to descend through mist and fog to reach the spa town’s poor inhabitants who are living in a temperature often five to ten degrees colder than where we are. Winter is a good time to do bracing walks in the hills, enjoy cosy evenings by the fireside and, naturally, read a lot of books and watch videos. We spent February in Tamilnadu as winter, no matter how much better it is here than in Bagni di Lucca, is a good time to get away to some seductive tropical clime. (I hope you enjoyed our account and photos of the wonderful places we visited. Now that we’re back in Italy there will be plenty more pictures to sort out). We miss India and winter is a good time to watch films about that fascinating sub-continent and to read books and, maybe, plan a future visit there. India’s film industry is now the biggest in the world as any aficionado of Bollywood will know. I suggest there are three main categories of feature film involving India. The first is Bollywood itself with its lively mix of action, love and dance. 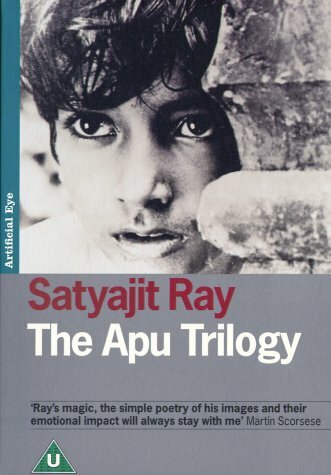 The second is the art film of which the greatest exponent is Satyajit Ray, especially his classic ‘Apu trilogy’ describing the growing up of a boy in Bengal. The third are films aimed particularly at a western audience and involving both Indian and western directors. David Lean’s ‘A Passage to India’, based on the Forster novel and dating from 1984, is a prime example of this genre. 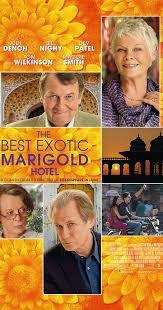 More recently, John Madden’s hilarious ‘The Best Exotic Marigold Hotel’ of 2011 and its 2015 sequel, ‘The Second best Exotic Marigold Hotel’ in which a group of pensioners from the UK travel to India to take up residence in what they believe is a newly built luxury hotel, has entertained a world audience and also given sharp insights into a fast-changing country. 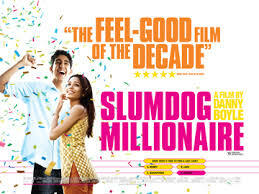 On a more serious note, Danny Boyle’s ‘Slumdog Millionaire’ of 2008 related the trials and tribulations of 18-year-old Jamal Malik, an Indian Muslim from the Jehu slum, when he enters a TV quiz show. Here, again the situation gives an excellent chance to describe the incisive multifariousness of fast-changing Indian culture today. Looking at films first aired on TV there are more adventurous Indian web mini –series which stand apart from the usual conventions of Bollywood with their bolder outlook on life. Such are ‘Roommates’ and ‘I don’t watch TV’. Regarding miniseries in general I have my three favourite ones which tempt me back to the DVD’s I have of them. 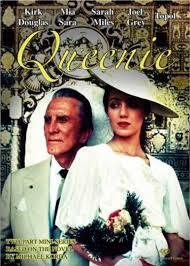 Th first is ‘Queenie’ from 1987, relating the life of actress Merle Oberon and based on the book of that title by Michael Korda, the son of Merle’s main film director and husband, Alexander. The mini-series is particularly noteworthy in showing how chee-chees ,or Anglo-Indians ,were looked down on by both the British (who described them as ‘blacks’ and made fun of their sing-son accent and their pretensions in dressing up in European clothes and the Indians who saw them as boot-lickers of the Raj and not to be trusted in any independence struggle. In real life Merle Oberon pretended she was born in Tasmania and only at the end of her illustrious film star life (where among other films she played Catherine alongside Laurence Olivier’s Heathcliff in ‘Wuthering Heights’) did she confess to having been born in a Mumbai slum. Fortunately, the whole perception of Anglo-Indians has completely changed today. After all, who would think that such singers as Cliff Richard and Englebert Humperdinck and actors such as Diana Quick and athlete and politician Sebastian Coe would once have been looked down as being chee-chees? The second is probably the finest miniseries ever made for TV: ‘The Jewel in the Crown’, based on Paul Scott’s ‘Raj Quartet’. With a star-studded cast including Art Malik, Geraldine James, Saeed Jaffrey, Peggy Ashcroft, Charles Dance, Tim Pigott-Smith, Eric Porter and Susan Wooldridge, and the most immaculate attention to detail in scenarios and costumes, this offers the finest insight into a gone but not forgotten India at the end of the Raj. ‘The Jewel in the Crown’ is compulsory viewing for me at least once every two years and certainly warms up my Longoio winters. 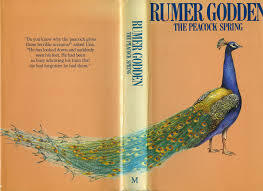 The third TV mini-series I love coming back to is ‘The Peacock Spring’ based on Rumer Godden’s book of the same title and dating from 1996. This time we are in the post-independence India of 1959 when a widowed United Nations official stationed in Delhi, India brings his two daughters, Una and Hal(cyon),from England to live with him. In fact, the two are a ploy to justify his liaison with Alix, a chee-chee who becomes their governess. Tensions arise and Una, in turn, has a love affair with an Indian…. but let me not be a spoiler here. Again, the acting and scenarios are perfect and a very young Hattie Morahan and Naveen Andrews are bewitching. The three mini-series have the advantage for me in that I feel they are more effective on film than in book form. I’m told by some the two seasons of ‘India Summers’ are worth a look too. I am so glad that I have these miniseries on my shelf and re-watching them can while away the long Longoio winter evenings. 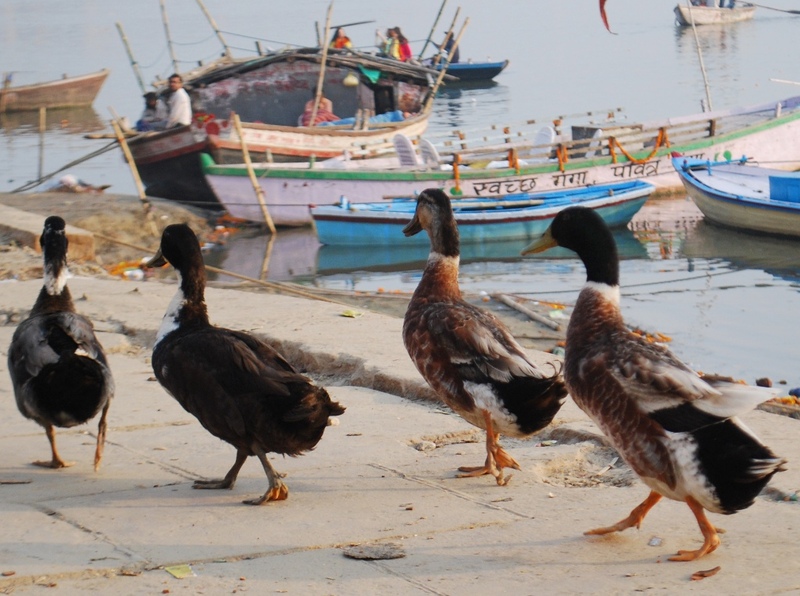 In their separate ways they bring back the fascination of India – its wonders and its miseries, its highs and lows – they certainly make me think of a return visit to the sub-continent in the not too distant future! If there is one place in south India that has to visited above all else then it is Tanjore with its Bridaseshwara temple. This building is the supreme glory of the Chola dynasty and represents religious architecture as its celestial summit. I’d visited this temple when young but when I approached it yesterday after so many years it seemed born anew; reaching the precincts in the late afternoon when the declining sun’s rays began to tinge the building with a glorious honey-dew colour will remain with me forever as a truly exstatic moment of my life. In 2010 the temple celebrated its thousandth year of existence with an extensive cultural programme of dance and song.Although we missed that we arrived just at the right time for the temple doors to be opened and to admit the devotees, who had gathered from all parts of India, into the grihasta or sanctum sanctorum of this Shivaite shrine originally constructed for the performance of rituals to confirm the divine right of the chola kings. We passed down a crepuscular passageway marked by sculptures of gods and daemons before receiving ashes and a gold coloured chord from the chief brahmin priest. I felt particularly awed by the fact that the ceremonies performed at this shrine were older than those undertaken at ancient Greek temples and, unlike those, had been continuously observed into the present times. Truly a living history! Tanjore also has a somewhat unkempt royal palace which houses, among other treasures, a precious collection of chola bronzes up to the standard of those in the Chennai museum. 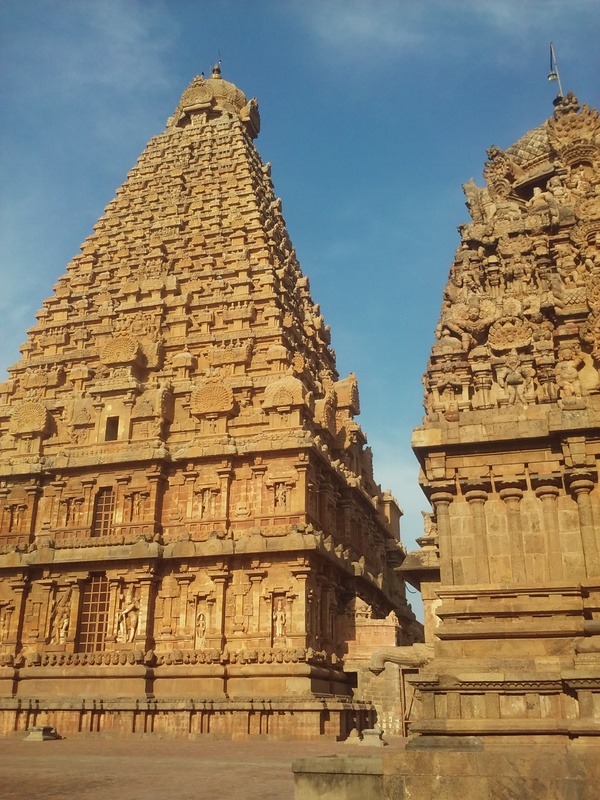 Tanjore and its great temple was the unforgettable climax of our exploration of India’s Hindu heartland of Tamilnad – a visit to cherish until we too join the mysterious domain of the gods…..
Tiruvannamalai is in many ways the ideal place to start one’s temple tour of south India. Our little foursome hired a taxi for the day as we wanted to get back to our seaside haven for evening and buses and trains can be slow and often unreliable. We drove through some magnificently fertile country filled with rice fields and some forest plantations. Suddenly through the hazy morning a steep hill emerged as if it had been a stone cast by some primaeval giant. Unsurprisingly the hill was crowned by a fort. 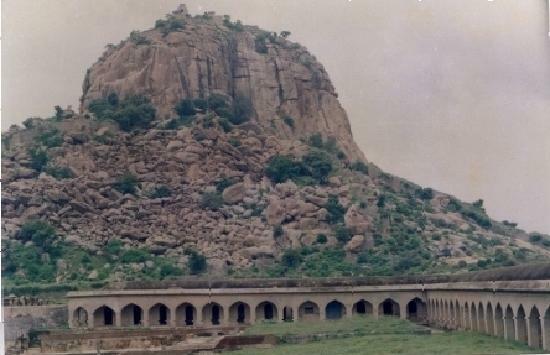 Gingee fort was part of the defences of the carnatic nawabs in these parts before the British annexed their domains in 1761. Known by the Brits as the Troy of the East the fort stands on top of a virtually sheer vertical slopes and must surely be one of the most impregnable places in the world. 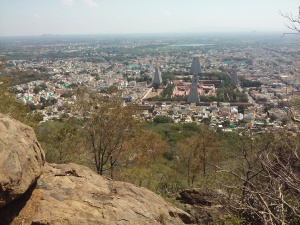 After a couple of hours we entered the busy temple town of Tiruvannamalai and headed for Ramana Maharshi’s ashram. 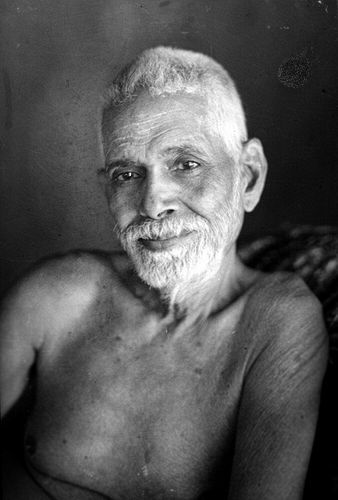 Ramana Maharshi is one of the pantheon of Indian sages who have influenced so many aspects of western philosophy and even theology. He changed the lives of several westerners visitors including Paul Brunton (‘Search in Secret India’), Major Alan Chadwick (”A Sadhu’s Reminscences of Ramana Maharshi’) and David Godman (‘No Mind – I am the Self’). The ashram was a truly peaceful place filled with devotees and other visitors. Here was the great man’s samadhi or cremation slab and here, too, were relics from his life on earth. From the ashram a path leads up to the top of mount Arunachal, Shiva’s fire mountain where every year on Shivraatri, Shiva’s night a giant bonfire is lit on top representing the element of fire which is associated with the main Thiruvannamalay Annamalayar Shiva temple of Tiruvannamalai. There are five elements in Hindu cosmology: earth, water, fire, air and space. Each one is represented by a particular temple in South India, an association known as the pancha bhoota stalam. It is the hope of devotees of Shiva to pay a pilgrimage to each one in their lifetime. At least we made a start. The path weaving its way up the sun-baked slopes of Arunachal’s extinct volcano to reach the simple room where the guru meditated and received his acolytes. A few of them were there when we arrived and we soaked in the placid atmosphere far away from the city’s bustle below us. From a projecting rock a splendid view spread out below us. The principal feature was the strict geometry of the Annamalayar temple with its four shining white gopurams. We’d made an early start in our trek but the heat built up on our descent. We were glad to drink some much needed water. 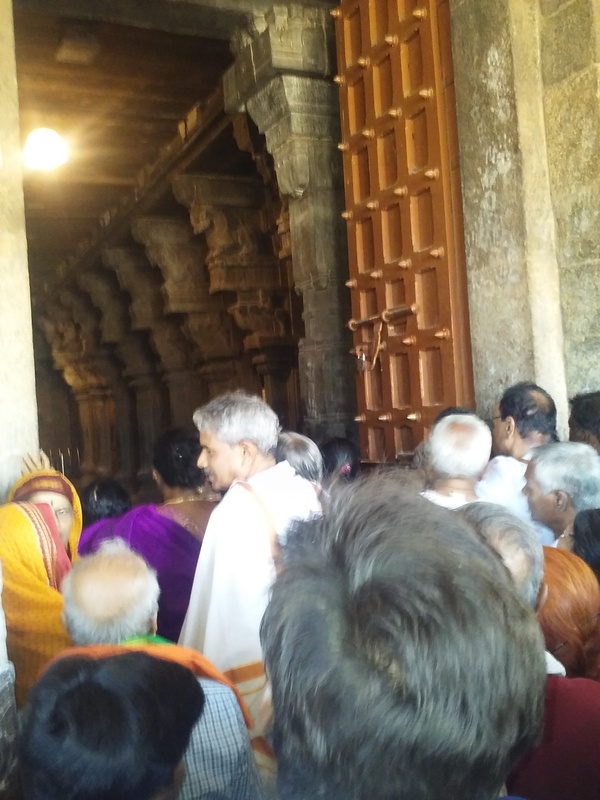 After a welcome biryani rice meal we headed for the main temple but unfortunately were unable to enter it since the access routes were closed and there was a substantial police presence as a political figure had been hacked to death by two attackers. That day the assassins had been found and it transpired that the motive for the murder was the non-repayment of a debt. This is the story from the newspaper and a security video showed the gory details. Since Shiva is the destroyer in the Hindu trinity of gods we felt that his hand had too been involved here. Anyway, we will certainly return to Tiruvannamalai and hopefully be able to visit this majestic temple st a more peaceful time. The place where we are at is called Periyamudhaliayarchavadi – a somewhat long name in the style of that famous railway station on a Welsh island. There the resemblance stops for instead of a misty cold climate the temperature here hovers around thirty degrees centigrade during the day and reduces to around twenty at night. Before me is a line of coconut palms and beyond them a sandy beach slopes to the blue waters of the bay of bengal. Occasionally a high-prowed fishing boat traverses the placid ocean and sometimes a hooded crow swoops under the roof of the veranda in which I am writing this sitting on a wicker chair. Apart from the vociferous crows all is tranquil in this mid afternoon in Tamilnadu, India. We have just been for a swim and the only thing to remind us that we have escaped from a cold and wet Tuscan winter is my puffy jacket hung in our room which I had to wear to transport me to the airport in the UK. The south of India, the Dravidian south, conserves better than any other area of this vast subcontinent the millennial elements of Hindu culture. The Tamil language itself predates the Sanskrit derived tongues of northern india. Here the second language is English and not many people speak Hindi. Above all, southern India is temple land. With the most spectacular religious complexes in the whole country, it is a Hindu equivalent of the great gothic cathedrals of northern France. Although we’ve come here principally to embrace tropical warmth we fully intend to do a temple tour. South India is also famous for its exquisite cuisine and we have already been gorging ourselves on dosa, pappaya and uttappam. Our place is a sweet chalet style guest house right next to the beach. It’s run by an italian couple, Donata and Stefano, and is called Samarpan which means devotion in Sanskrit. It was chosen for us by an amazingly welcomed coincidence. People may say what they like about facebook but it reunited me with a long lost cousin after a very very long time. That was at the end of last year. Realizing that after a mild and sunny January in longoio it would be rain’s pay back time in February I decided to accept my cousin’s invitation to visit her and in one day about two weeks ago i organized plane tickets and visa. The best holidays are in winter I feel. Why suffer the miseries of the vagaries of European weather ? My cousin has been living in India for over twenty years in the Auroville community where she is in charge of the accessibility project. It’s great to have someone to reintroduce us to this fascinating part of the world. Already we have visited the old French settlement of Pondicherry and this morning we were admitted to the mystic globe of the Matri Mandir. But that would need another post to describe and already the soft exotic breezes beckon us to the langurous waters at our feet. Several decades ago, in this month, two young men, who’d escaped from school and had started to enjoy their gap year, decided to go east. One of them had managed through his mother’s work to obtain a free airline ticket. He was to act as accompanist to a mentally-ill Sicilian person who was to be repatriated to his family in Catania. The next part of the journey took them through Northern Greece to the border with Turkey. The weather at this stage was getting colder and colder and by the time Istanbul was reached it was positively freezing. Istanbul was the first taste the two had had of the mysterious east and they enjoyed visiting the City’s old quarters, Hagia Sophia and the Blue mosque. and finished up in Beirut. A meeting with a Swedish guy who drove a Volkswagen van enabled the two to reach a still-divided Jerusalem. Then it was a journey through Jordan past the H4 border post and into Iraq where they arrived in Bagdad. After a few days in the thousand and one nights city the next stage took the two to Basra where they were hosted by the British consul there. A journey to Kuwait was rewarded by a chance to gain some extra money, both through giving blood and also by writing up travels so far and broadcasting the script on the English-speaking section of Kuwait radio. to a Teheran still ruled over by a Shah. Thence it was towards Afghanistan via Meshed and past Herat and Kandahar to land up in Kabul. The descent down the Khyber Pass to Pakistan was accompanied by ever warmer weather. It was now March and the torrid heat of the Indian subcontinent plains was building up. A stay at the hill station of Murree was welcomed. From Lahore a train was taken towards New Delhi with, of course, the obligatory border transport hiatus where one had to walk a mile across no-man’s land to India. was followed by a crossing into Nepal and Kathmandu where a full month was spent at the mythical blue Tibetan guest-house and restaurant. Cycling and walking around the Kathmandu valley recharged one’s batteries before starting the return leg. More of Northern India was visited, including Jaipur and Agra. Then it was a return crossing into Pakistan and back to Kabul. Here a truck with a home-ward bound expedition in the Hindu Kush Mountains took one directly back through Iran and Turkey to Istanbul. Thence it was through Greece and Italy to come home to the UK from Catania airport. This was a journey of a lifetime and one which changed the outlook of both protagonists for ever. The world’s diversity was opened out for them, the exposure to different cultures was seminal and the encounter with some of the world’s most amazing and often strangest sights was stunning. It was also the journey of a lifetime because it would be difficult to repeat such a hitch-hiking trip today. Parents would have been dissatisfied with just an occasional post-card and no cell-phone calls. Certainly, the UK’s foreign office would have strongly discouraged such a voyage, especially by two teenagers. Yet such an expedition was all the rage in Sergeant Pepper year. The hippy trail was a central experience for the youth of that distant decade and one which laid the foundation of social changes which radically transformed attitudes and views. There are no prizes for guessing who one of the two who came back, changed and chastened by their oriental voyage, was…. Am I Really Going Quackers? Coincidences are always startling to some degree. But the one that happened to me yesterday was a real quacker! I came back home to find that my camera, which had a shutter problem, had been returned from the repair factory to my very own front door by the courier instead of the often usual situation where one has to go down to the local bar in Bagni di Lucca because couriers often pretend not to know where I live. Since the camera was under guarantee there was even nothing to pay for it! Later in the afternoon I received a call from the courier stating that he’d managed to put the parcel next to my door because he found the garden gate open. He also found my two Muscovy ducks, Flip and Flop, playing outside my house. He said he’d lifted them up and deposited them in the front garden before leaving and closing the door. I thanked him profusely. Mystery. Have I really gone so far as to forget to close and lock the front gate? Anyway, full marks for the kindness of a really helpful courier. In the evening I received an email from a friend who lives in the wilds of middle England describing his bike-ride. ‘I am back in the land of notices’ he wrote and sent me these stating ‘Ducks at Play: please be sensitive – don’t mention plum sauce or l’orange’ placed near the waterway he’d cycled to. So on the same day three lots of ducks decided to have a game with me in three different countries. Or am I really going quackers? His Thousand Names are inadequate to describe Him. But when mankind knows Him, they will have everything. The mantra Om Namah Shivaya is perhaps the most powerful mantra for Lord Shiva. It has five syllables in Sanskrit and therefore known as the pancha (five) kshara (syllables) mantra. The number five is auspicious for Shiva as it comprehends the five major elements that permeate all creation: earth, air, fire, water and space. Shiva is all these five elements into one perfect wholeness. Start the day by reciting Om Namah Shiva (lit: ‘I bow to the name of Shiva’) and you will receive protection from this great power says Baba Cesare as he leaves Guzzano, Bagni di Lucca for Hampi, India. No guru can give you Nirvana; this you can only achieve yourself. The baba can guide and show the way, but the devotee must carry out the practice. Ciao Baba Cesare. Alla prossima!